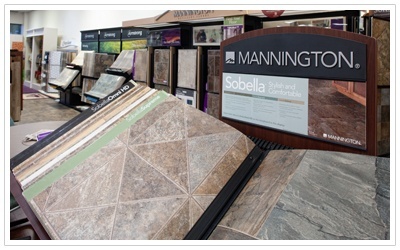 When it comes to resilient flooring in Richmond, VA, no one has a better selection than Richmond Decorating Center! adj. The general term that is applied to products like linoleum, vinyl, rubber and other synthetic types of flooring because of their solid nature and their inherent ability to flex and “give” slightly when stepped on. Resilient flooring is the general term that covers linoleum, vinyl, rubber and similar synthetic products. 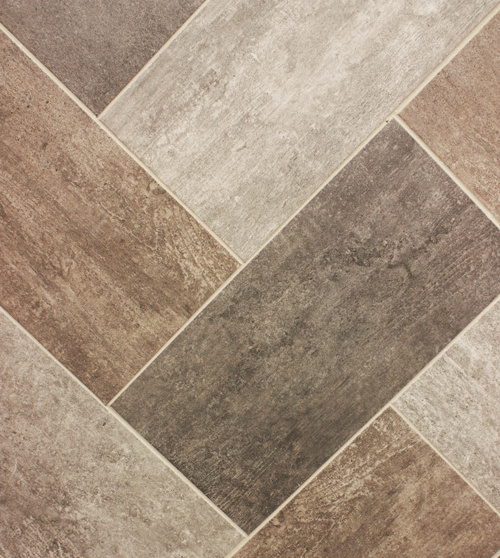 The most common type of resillient flooring is known as linoleum and it has be around for over 150 years. With all of that time in research and development, you can be assured that some amazing developments in both choices for style and color have been developed. When it comes to linoleum in Richmond, VA, no one has a better selection than Richmond Decorating Center! Visit our showroom to see the incredible versatility of our resilient products or continue reading for insight into why resilient flooring is the right choice for you. Click here to see our Vinyl Brands! Resilient is the general term that is applied to products like linoleum, vinyl, rubber and other synthetic types of flooring because of their solid nature and their inherent ability to flex and “give” slightly when stepped on. Originally referred to as sheet vinyl, resilient flooring now is available in a variety of creative designs and comes in wide enough sections to appear seamless. Resilient flooring has the ability to mimic high quality ceramic, wood and other intricate designs like stone and even marble! Due to scientific research there are a variety of synthetic products that are designed with such engineering and craftsmanship that they not only appear to be the materials whose image they portray, but they also provide an equal feel when walked upon! For linoleum in Richmond, VA there is simply no better choice for both quality and variety than Richmond Decorating Center. When it comes to protection, resilient’s are being crafted with urethane including aluminum oxide particles just like the tough topcoat used in wear layers for both laminates and hardwood products. This creates an extreme Resistance to scratches and durability that synthetics lacked in the past. The experts at Richmond Decorating Center can help you determine which linoleum, vinyl, rubber or other synthetic flooring is right for your specific needs. Visit Richmond Decorating Center to see the variety of synthetic products available and talk to experts who will help you make the best possible decision!